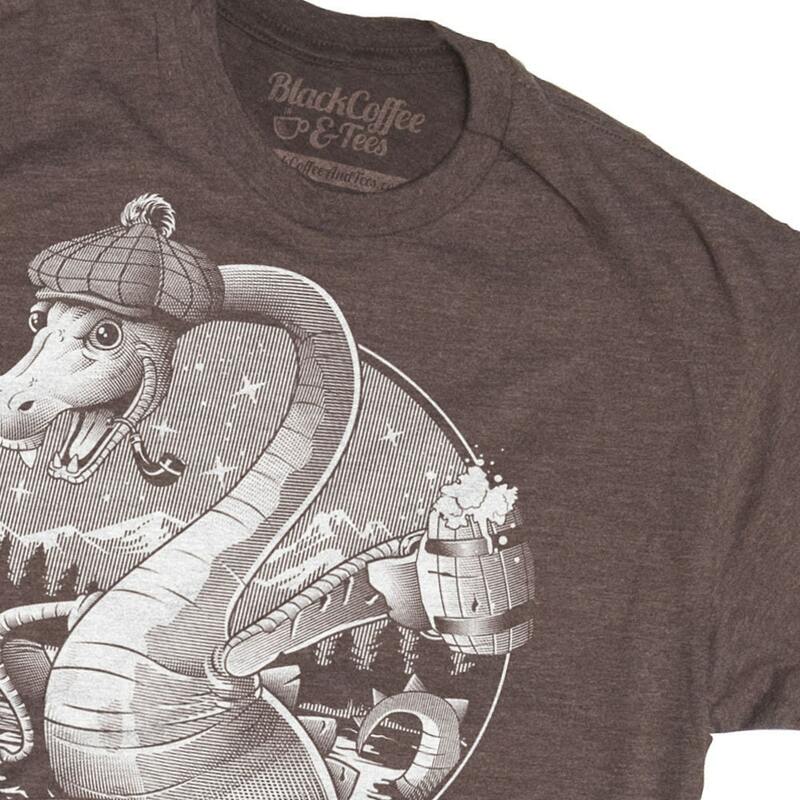 We found Nessie. 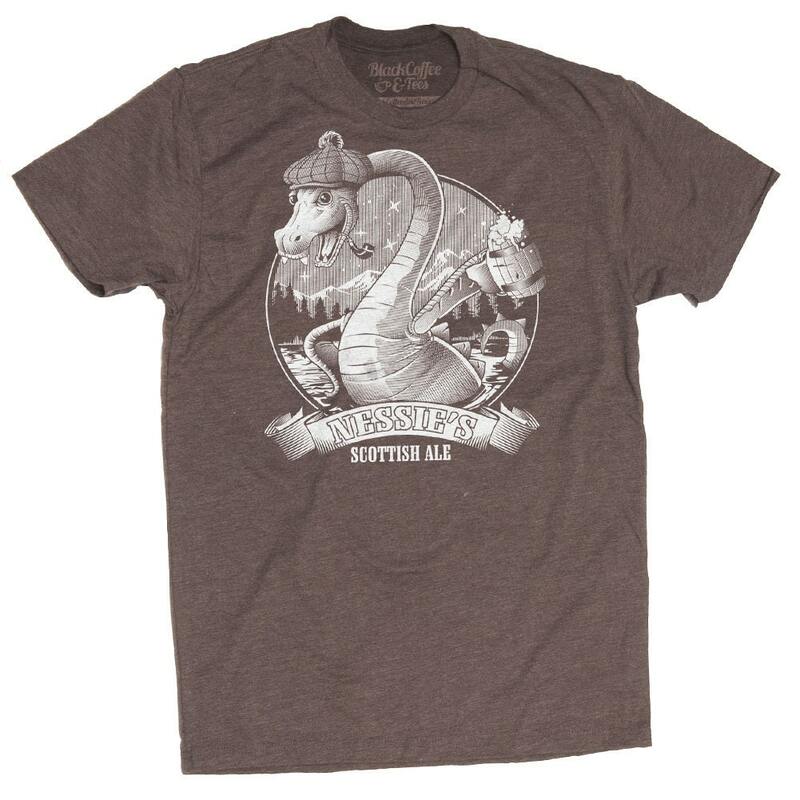 The Loch Ness Monster is here enjoying a beer. Screen printed on this shirt. 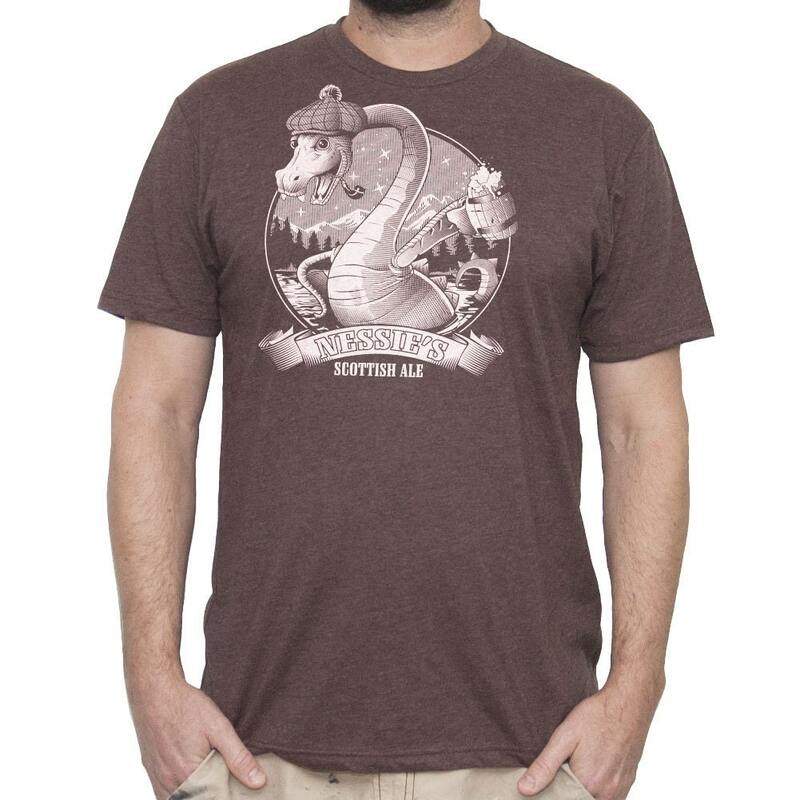 Loch Ness Monster Shirt - Nessie The Loch Ness Monster Drinking Scottish Ale Hand Screen Printed on a Mens T Shirt. Great item. Husband Loved it! 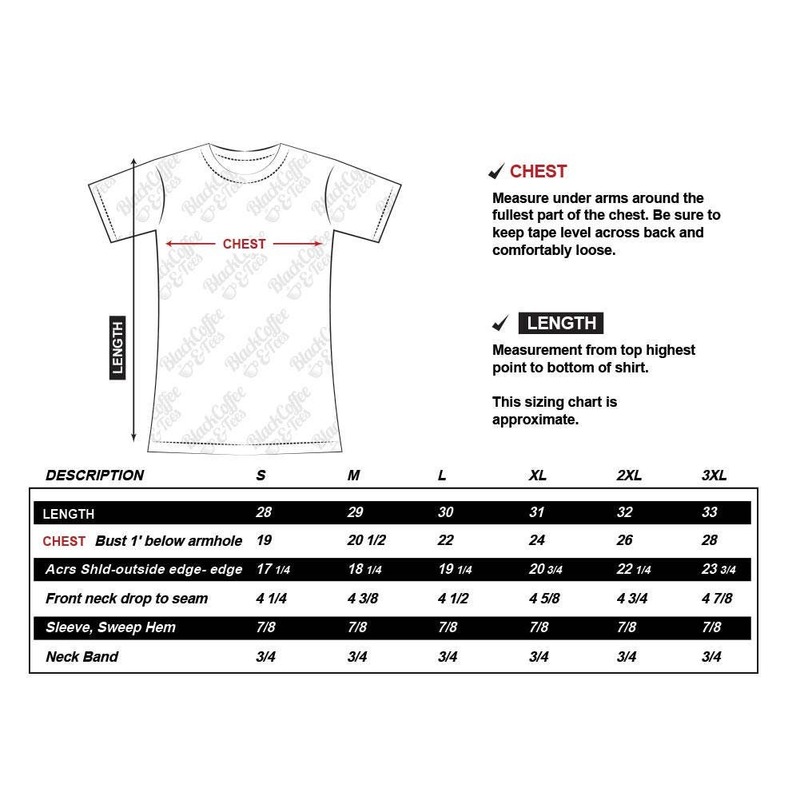 Fast shipping and the shirt is great. Thank you!